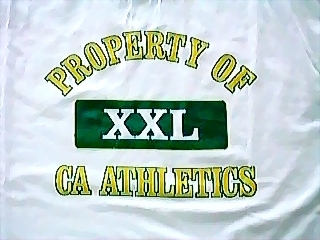 This sharp design in CA colors (green and yellow) offers the opportunity to "sport" your favorite CA sport. 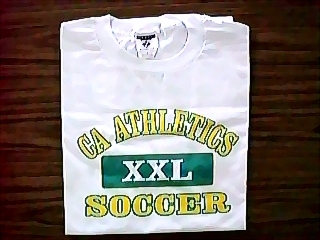 Three models are offered: BASKETBALL, SOCCER, or PROPERTY OF CA ATHLETICS on a Jerzees heavyweight 50/50 white T-shirt. 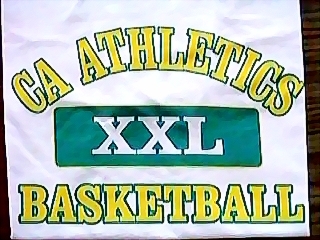 Available in adult sizes S, M, L, XL.